Gail Pilgrim (right), an Inuk land protector who was part of the Muskrat Falls occupation in 2016, told a Supreme Court judge she “went through the gate because I felt I didn’t have a choice.” Justin Brake/APTN photo. 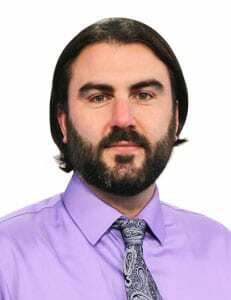 Editor’s Note: As a journalist with the online publication theIndependent.ca, Justin Brake followed the land protectors onto the Muskrat Falls site and workers accomodations complex and covered the duration of the occupation. He is facing criminal and civil charges from the event. A week of court hearings in Labrador wrapped up Friday with testimonies from land protectors facing civil contempt charges of violating an injunction in the course of their resistance to the Muskrat Falls hydroelectric project. The court heard testimonies from three land protectors who said they joined the resistance and an occupation of the Muskrat Falls worksite in 2016 over concerns the project would harm their land, traditional foods and way of life. On Friday Sharon Gear and Gail Pilgrim, Inuk land protectors from Happy Valley-Goose Bay, and David Nuke of Sheshatshiu First Nation told the court neither of them were aware of a provincial Supreme Court order that prohibited them from going onto the Muskrat Falls site when they entered with about 50 or 60 others on Oct. 22, 2016 and eventually occupied the on-site worker’s accommodations complex. Nalcor attorney Chris King cross-examined the land protectors in an effort to prove they knew of the injunction, or at least knew they were trespassing on private property. Gear said she went on to the site after a land protector cut lock on the main gate and people flooded through in part to support her 12-year-old daughter Allyson, who had become a symbol of the movement to stop the project before reservoir flooding. Allyson was one of two Inuit drum dancers whose drumming provided a soundtrack and spiritual nourishment for land protectors in the weeks leading up to the occupation. “She drummed us in there,” Gear told the court, tears in her eyes. Pilgrim, one of three sisters facing charges related to the Muskrat Falls resistance, said she joined the protests out of fear methylmercury would contaminate her people’s fish and other traditional foods. Sharon Gear said Friday she joined the Muskrat Falls resistance in part to support her 12-year-old daughter Allyson. Justin Brake/APTN photo. Nuke said he wasn’t aware of the court injunction at the time he went on to the Muskrat Falls site, but that even if he had been aware he would have gone anyway. He testified that he had been admitted to emergency at the Goose Bay hospital that same morning for heart problems. The 60-year-old Innu Nation negotiator told the court he got involved in the movement after listening to Nunatsiavut’s concerns about mercury contamination of traditional foods, and after he saw people of all backgrounds in Labrador unite in an effort to halt reservoir flooding. Nuke said the Innu recall the devastating impacts of reservoir flooding from the Upper Churchill hydro project in the 1960s, including mercury contamination of traditional foods. The Innu Nation signed an agreement in 2011 that permitted Nalcor to proceed with the project. He didn’t want to see the same thing, even if to a lesser extent, happen to the Innu and Inuit communities downstream of Muskrat Falls, he said. David Nuke of Sheshatshiu and a negotiator with Innu Nation said the movement to stop Muskrat Falls was more inspiring than any movement he’d ever seen, and that it provided a template for Labrador’s future. Justin Brake/APTN photo. 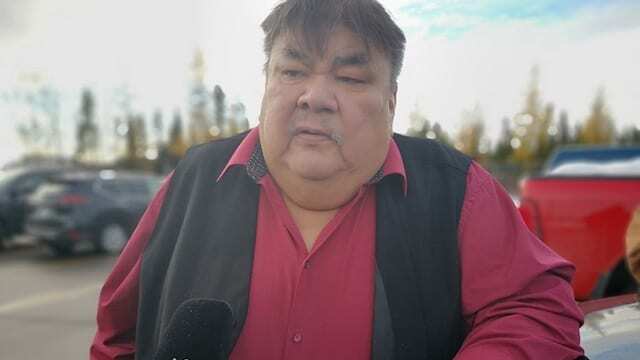 In an interview with APTN News after his testimony, Nuke said he’s disappointed Nalcor and the province are criminalizing Indigenous people for defending their land, foods and way of life. But he said despite the hardships many land protectors are facing as they navigate an unfamiliar legal system, they’ve created a template for all people in Labrador to stand up to corporate and government encroachments on their lands and resources. “I’m certainly hopeful that the type of movement I saw two years ago is still well and alive,” he said. The Supreme Court hearings will continue in winter or early spring, when a few more land protectors will testify, lawyers will make submissions, and Justice George Murphy will review evidence before making decisions on each of the land protectors’ cases.